Steel twin screw motor vessel built in 1973 at Ateliers & Chantiers du Havre, Le Havre, France (Yard no 212) for A/S Larvik – Frederikshavn Ferjen, Larvik, Norway as a passenger-car-cargo ferry. April 24th 1971: Keel laid. 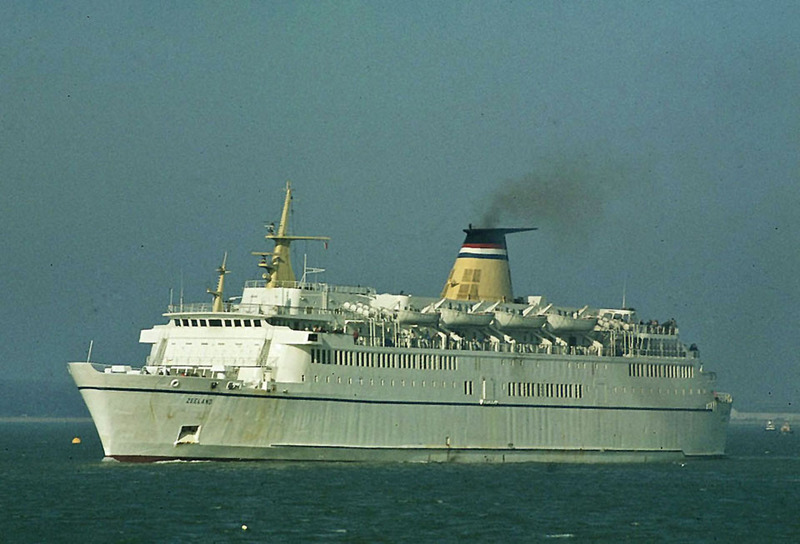 July 20th 1973: Delivered to A/S Larvik – Frederikshavn Ferjen, Larvik, Norway. July 26th 1973: Exhibition cruise round Norway and other Scandinavian harbours. 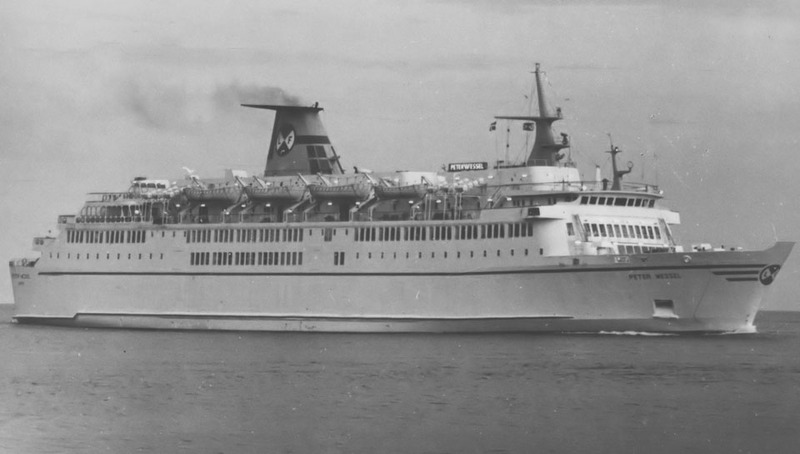 August 19th 1973: Maiden voyage between Larvik – Frederikshavn. June 3rd 1975: Suffered engine failure and towed out of service for repairs. July 8th 1975: Returned to service. 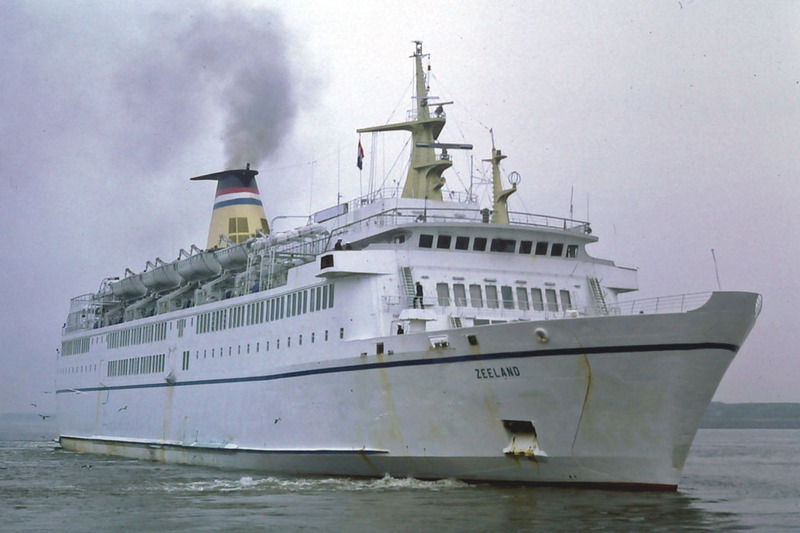 March 30th 1984: Chartered for 2 years to Stoomvaart Maatschappij Zeeland N.V (S.M.Z. ), Hoek Van Holland, Holland. Renamed ZEELAND in Larvik. 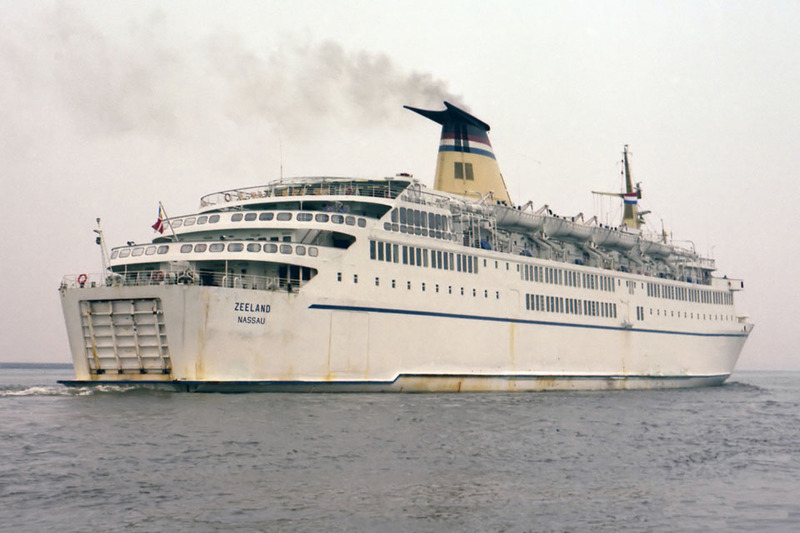 April 1st 1984: Commenced service between Hoek van Holland – Harwich. April 1st 1984: Transferred to Admiral Shipping Ltd, Nassau, Bahamas. 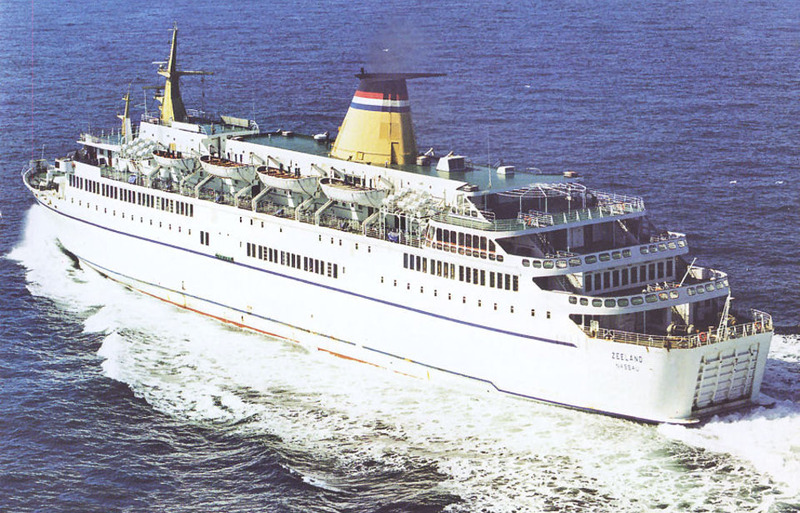 November 1985: Sold to Stena Ab, Göteborg. 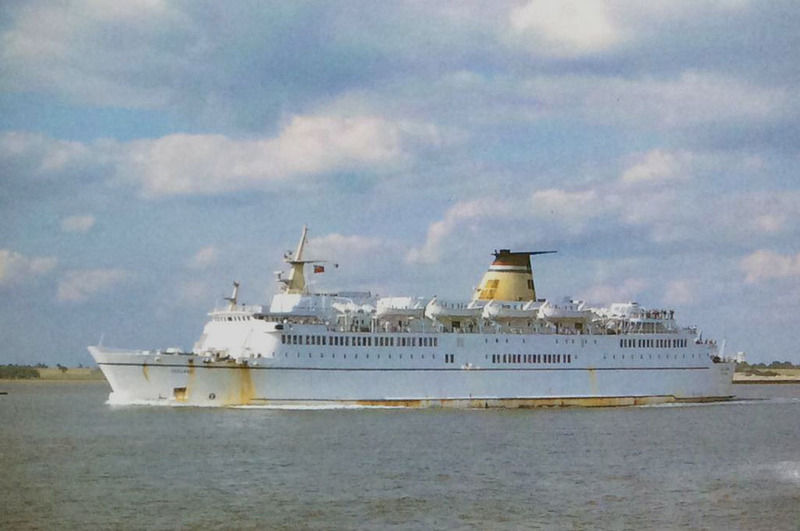 March 25th 1986: Completed charter and arrive at Permis Werft, Rotterdam. 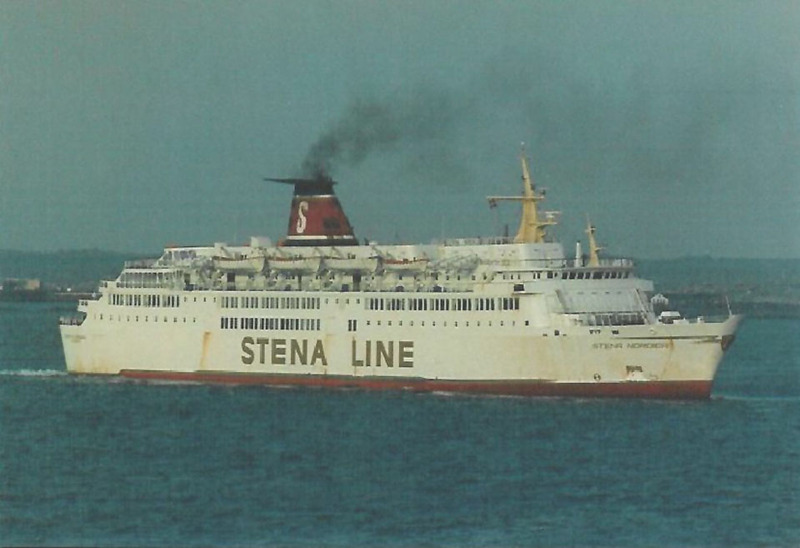 April 2nd 1986: Taken over by Stena Ab, Göteborg in Rotterdam. 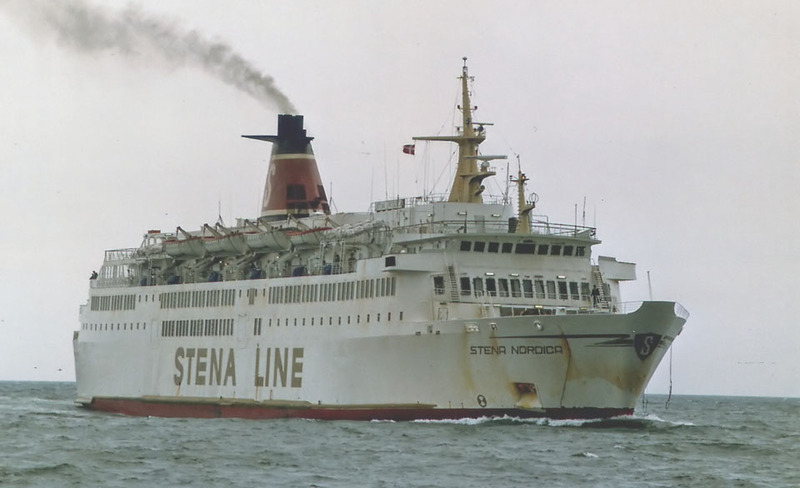 Renamed STENA NORDICA. 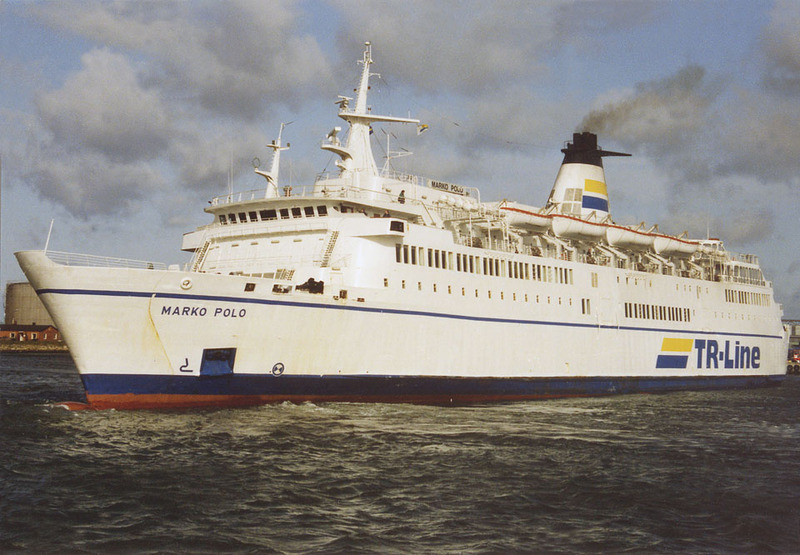 May 4th 1986: Commenced service between Moss – Frederikshavn – Göteborg. November 23rd 1988: Sold to Jadrolinija PO, Rijeka, Yugoslavia (Registered to Adriatic General Sh CO Ltd, Monrovia, Liberia). 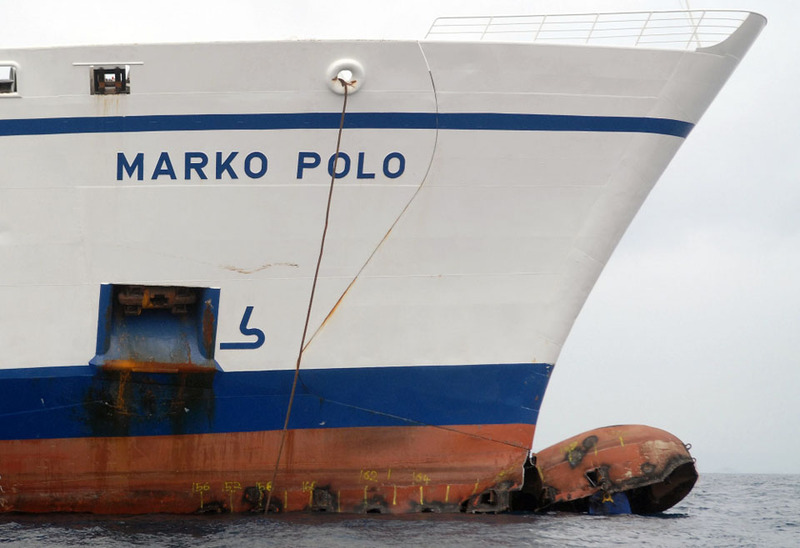 Renamed MARKO POLO. November 24th 1988: Left Göteborg for the Mediterranean. 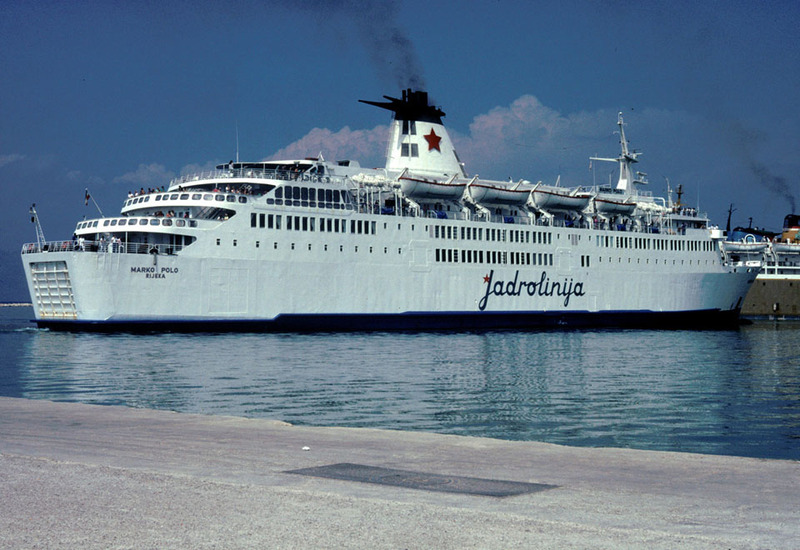 1989: Commenced service for Jadrolinija between Ancona – Korfu – Patras – Korfu – Dubrovnik – Split – Venedig. October 14th 1989 – January 1990: Bare-boat chartered to Hamburgyr Senat and then laid up in Hamburg, Neumühlen as a floating refugee camp for DDR-refugees. February 1990: Returned to Jadrolinija services. 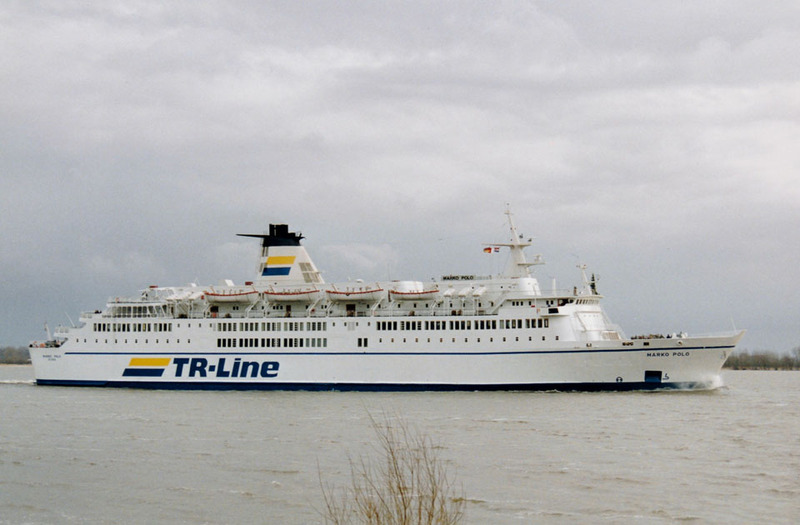 January 10th 1992: Bare-boat chartered to TT-Line, Hamburg, Germany. Commenced service between Trelleborg – Rostock. October 23rd 1992: Suffered a massive engine failure and returned by TT-Line to her owners. November 1992: Repaired in Hamburg, thereafter laid up. 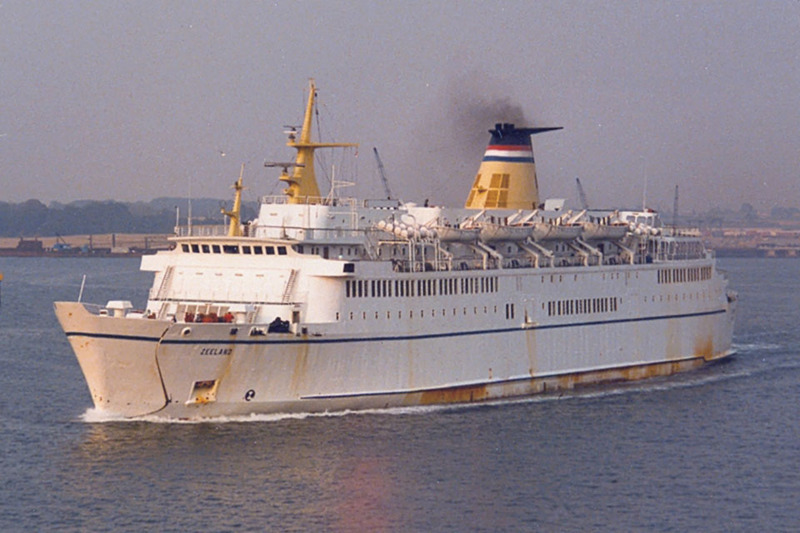 1993: Bare-boat chartered to Olympic Ferries for services between Bari – Igoumenitsa – Patras. January 1994: Taken out of Olympic Ferries services. May 1994 – September 1994: Bare-boat chartered to Compagnie Marocaine de Navigation (COMANAV), Morocco. Operated between Nador – Sete. 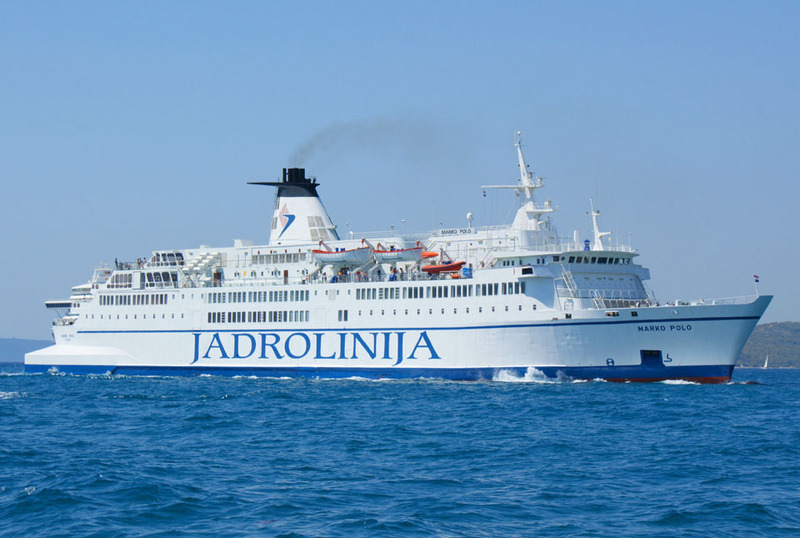 1995: Registered to Jadrolinija Cruises, Rijeka, Croatia. Commenced services between Ancona – Split. 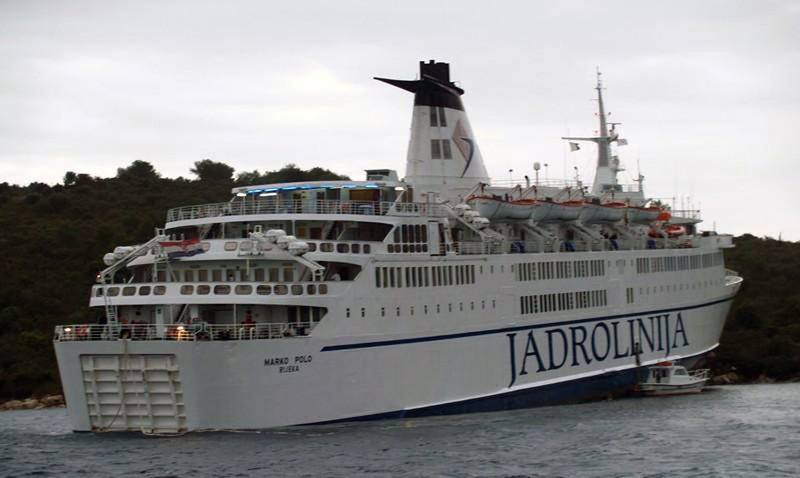 December 31st 2002 – January 1st 2003: New Year cruise from Split to Hvar. 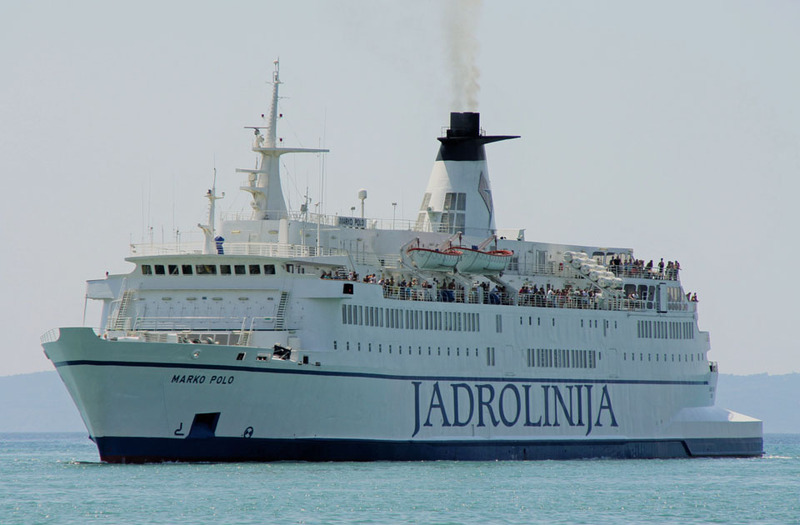 May 2004: Services between Rijeka – Zadar – Split – Stari Grad – Korcula – Dubrovnik – Bari. 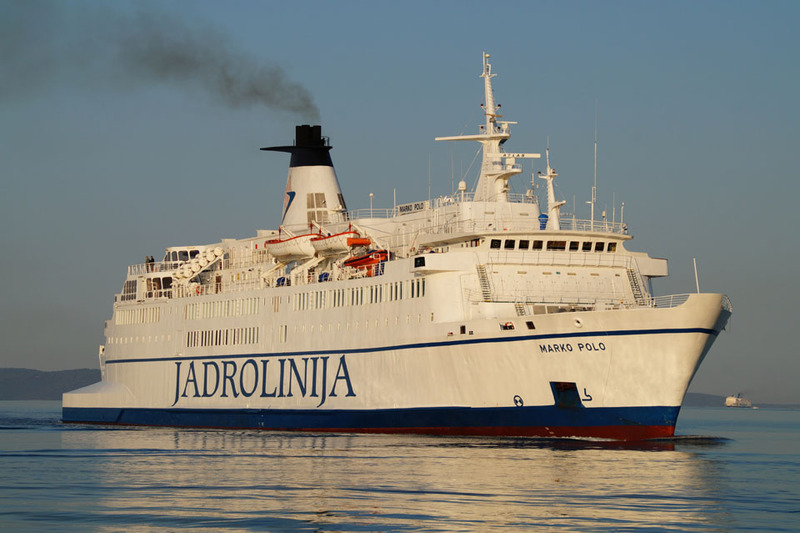 January 2005: Registered to Jadrolinija Cruises, Rijeka, Croatia. 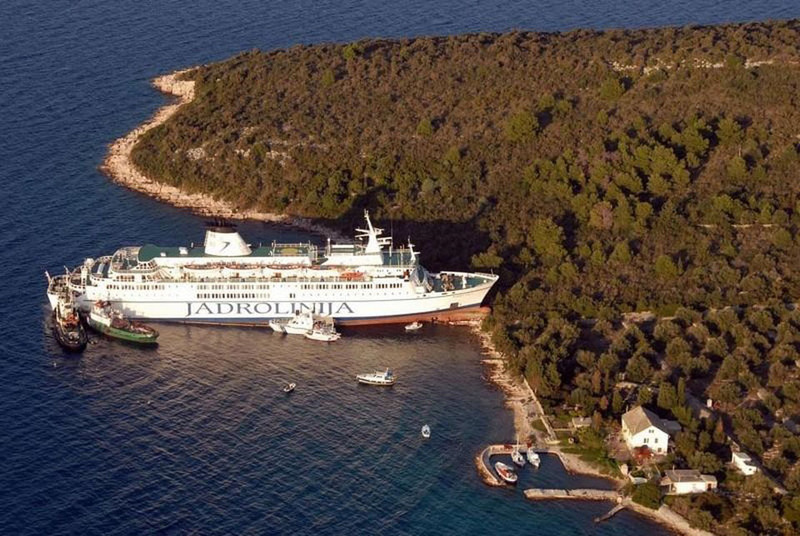 October 24th 2009: Ran aground on the Croatian island of Sit while cruising on its regular Rijeka-Split-Dubrovnik-Barin service at 25 knots. No injuries were reported and the accident has been attributed to human error. Experts from Smit Salvage Company in Rotterdam were called in to help re-float the vessel but the ship had suffered major damage. 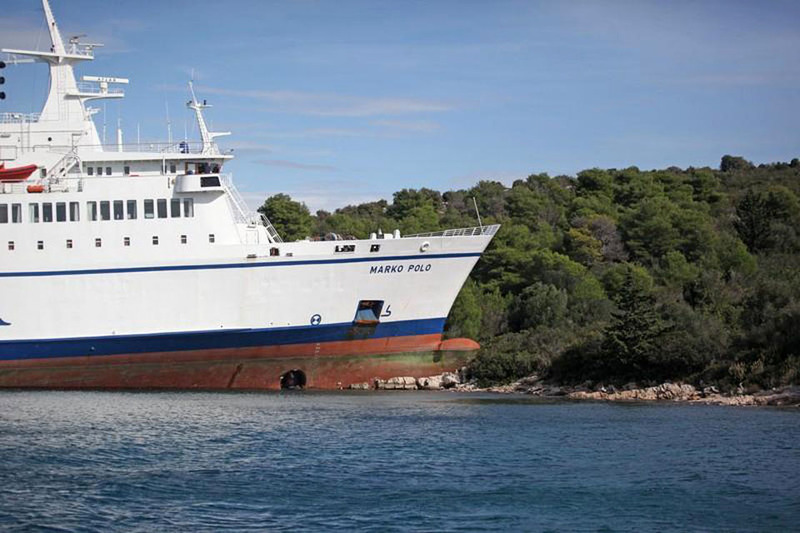 November 20th 2009: Re-floated and towed to Mali Losinj yard, Split for repairs. May 24th 2010: Returned to service. March 2011: Rebuilt with “Ducktail” at Rijeka, Croatia to conform to new maritime safety laws. All information is believed to be correct and no responsibility is accepted for any errors or omissions. All items included in this article are subject to © copyright. We would like to take this opportunity of thanking: “DDGHANSA”, Carsten Dettmer, Brian Fisher, Frank Foerst, Pieter Inpyn, Capt Jan Melchers, Derek Sands, Simonwp, Jurgen Stein and Andreas Wörteler for their assistance in producing this feature.